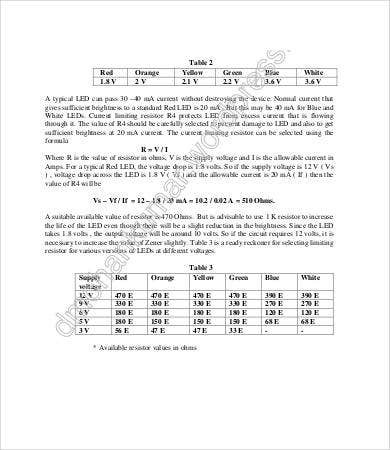 Are you an electrical engineering student prepping for an exam? Or are you a tinkerer knee-deep in circuits? 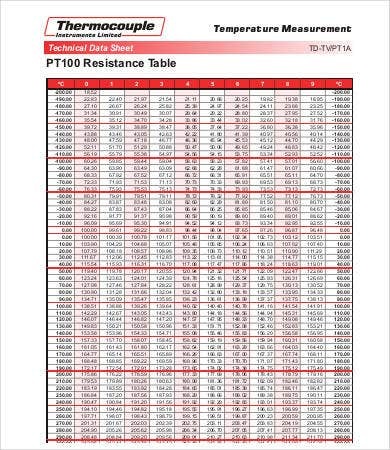 Whatever your professional interest, these resistor chart templates should pique your interest and provide you all the useful resistor-related information in handy charts. 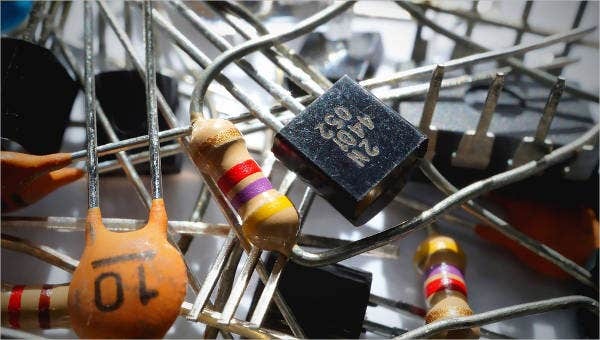 A resistor is, as you already know, the building block of circuitry whose main job is to block the flow of electrical current. 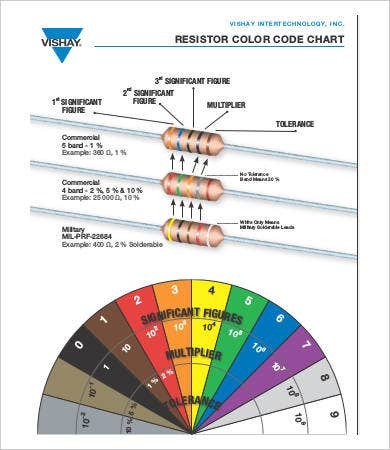 There are many things to keep in mind with resistors like electrical color codes, conversions, values, and sizes. 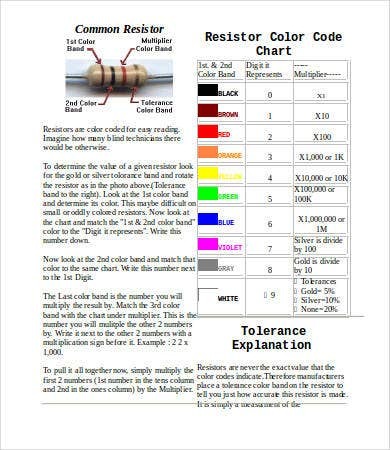 To help you learn, remember, or review everything to do with resistors, you will need at least one of these free charts. Or maybe all of them. They are certainly helpful for any techie smart with their hands. 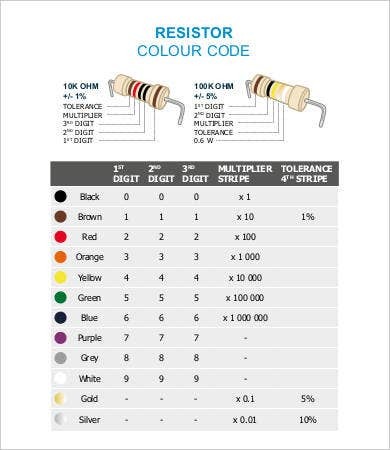 Why Are All These Charts Only for Resistors? We all know there is a lot more going on in the circuit-board level than just what the resistors are doing. 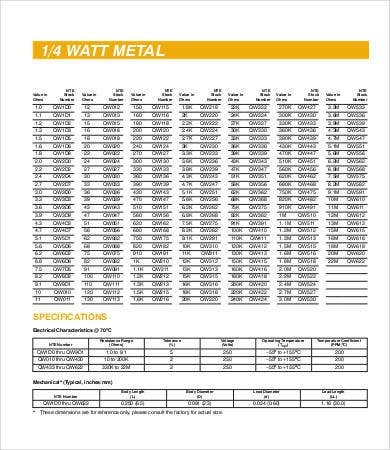 There are other components such as the inductors and the capacitators and the diodes, but using these charts as templates you might even find or create similar charts for the other components. 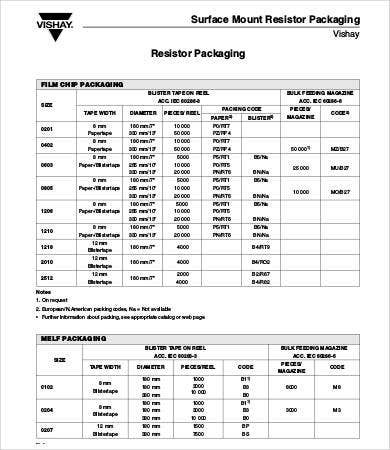 resistor conversions (see Resistor Conversion Chart). 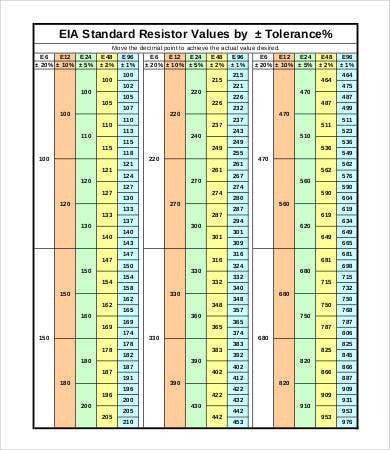 These charts will be a great study guide to help you master the resistor inside and out, backwards and forwards. They are available as PDF files and Word documents, so feel free to download, edit, print out anything you need. 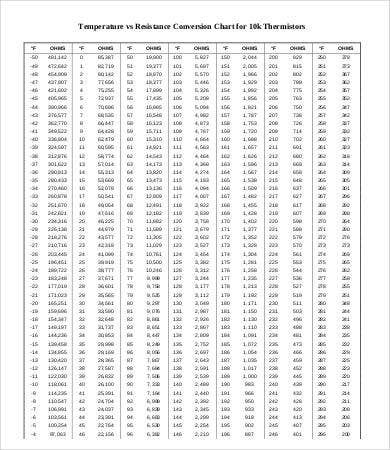 Compile them in a binder that you can flip through as a primer. Or frame the charts you need the most reminders of in a prominent place in your work or study area. Getting from hobbyist to student to professional in your field of interest is a multistep process worthy of its own Flow Chart. To help you in your other endeavors related to your field, be it mechanical or electrical engineering, you might want to check out some other collections we stock here on Template.net. These will cover meta issues like seeking employment in the engineering field, perhaps designing a logo for your electrical startup, finding a theme for a website, or even just finding resources for your homework and projects. We’ve got you covered.